(note that i always love using induction and a fairly large pot to avoid splashes) honestly, i no longer use a thermometer when i make caramel, although i am the proud owner of just about the best digital thermometers one can have in the kitchen. heat caramel till very light amber color, like 14k gold. 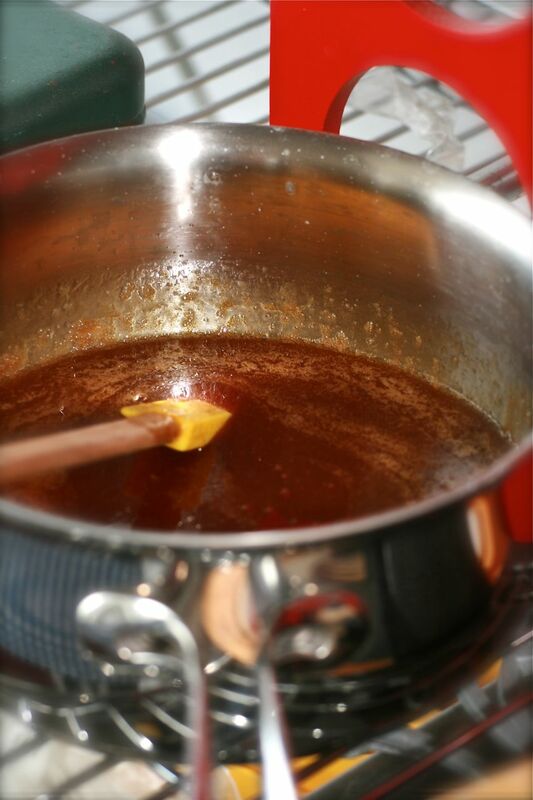 remove from heat, and the residual heat will keep heating the caramel till deeper amber color, like 18k gold. 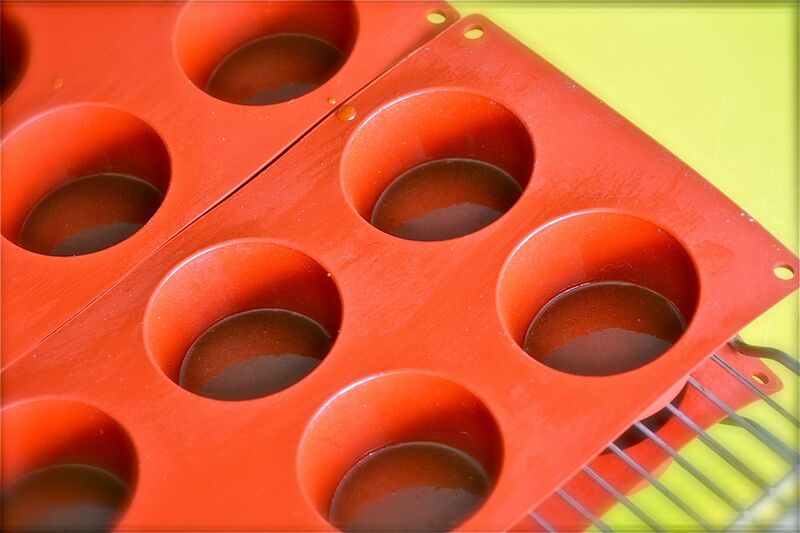 if you see the caramel becoming darker or near like 24k gold, immediately pour into the molds. 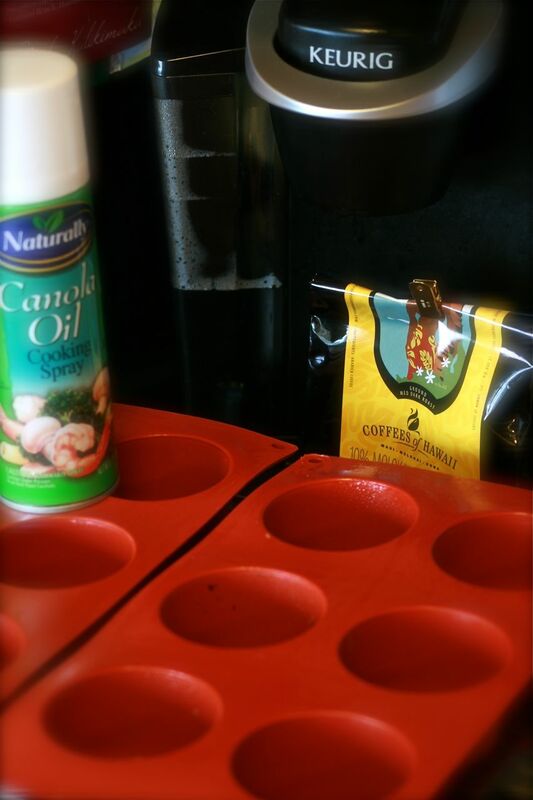 if your caramel is dark brown and you no longer see the bottom of your molds, DISCARD and start again. overly dark caramel is charcoal. the flavor or overly dark caramel is very assertive and truly ruins your dessert. 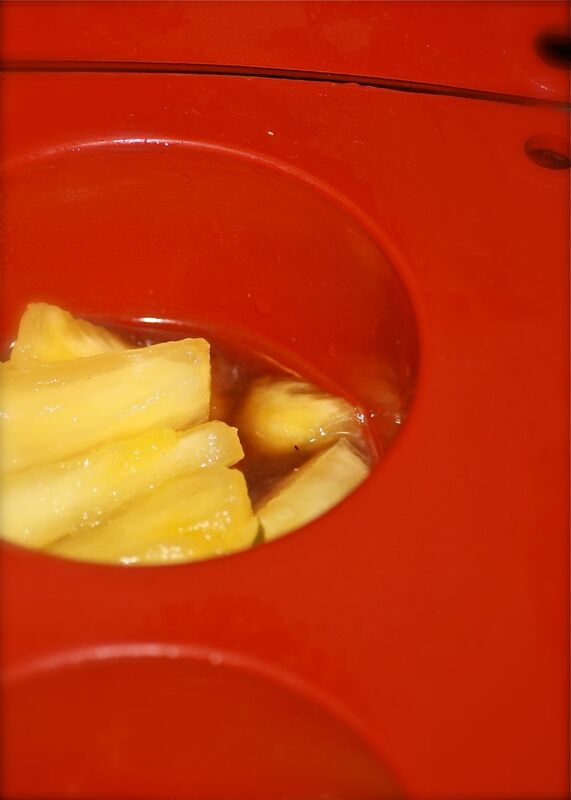 4- now, now, now….. i didn’t enjoy caramelizing the pineapples as instructed by the book. hello? i felt that i could play with pineapples a little more free, since widely available where i live. 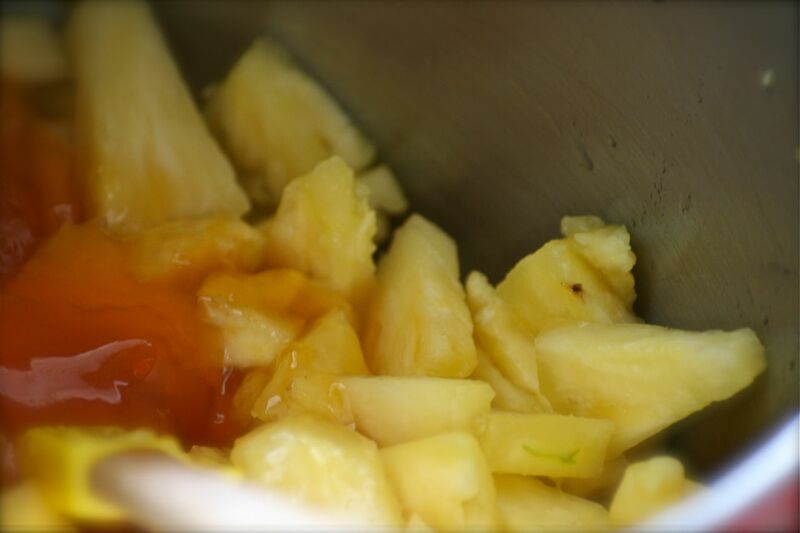 i decided to soak the fresh pineapple pieces with passion fruit jelly, for about 20 minutes, till the pineapple releases most of its juices. then drain. 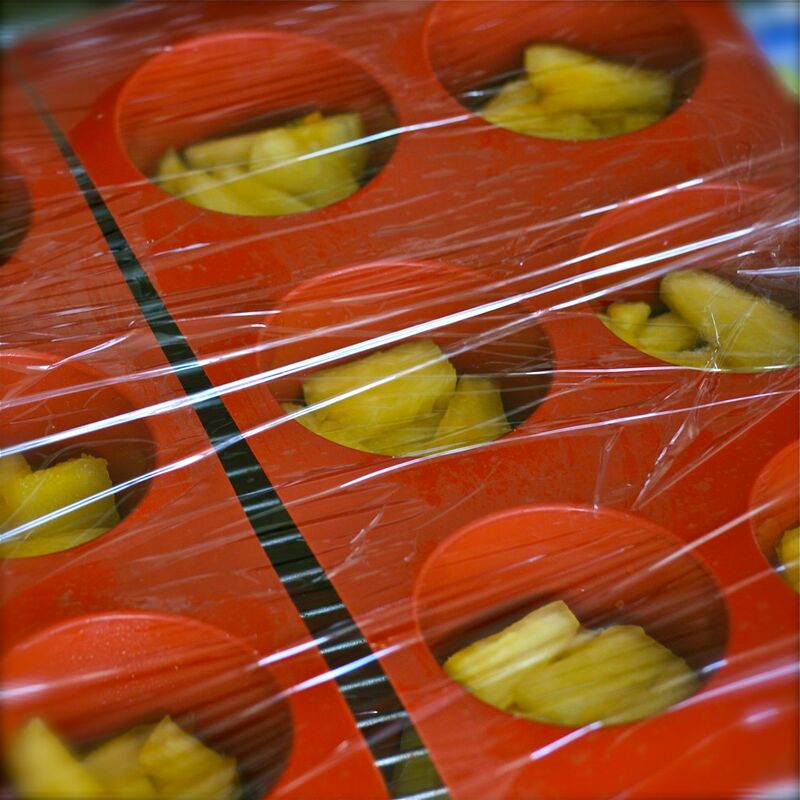 5- then arrange the ‘uncaramelized’ sweated pineapple on the caramelized molds.